We're not entirely sure what's going on here. What's the dude in the chair doing on a billboard? 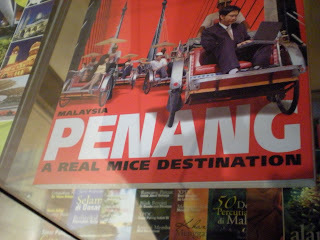 And why would we want to go somewhere mice hang out? We spend a lot of time avoiding our basement for that very reason. Nonetheless, we thank our globetrotter, Kjersten H., for the delightfully disturbing photo. MICE refers to "Meetings, Incentives, Conferencing, Exhibitions" in the hotel business. 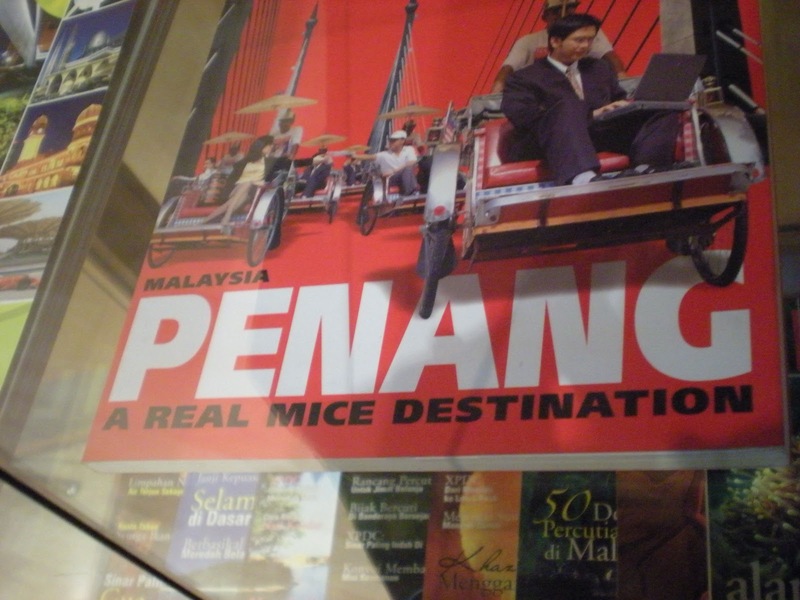 According to Wikipedia, "MICE tourism usually includes a well-planned agenda centered around a particular theme, such as a hobby, a profession, or an educational topic."